This fatal wreck along Interstate 44 in March 2010 was caused by a driver who was texting. A state senator hopes this accident, and a federal recommendation, lead to a statewide ban on texting while driving. In December, the National Transportation Safety Board recommended that states ban drivers from using their cell phones in any way while operating a car. In its report, the NTSB cited an Aug. 2010 accident that killed two people and injured at least 50 others. The crash took place on Interstate 44 near Gray Summit, Mo. A St. Louis-area Democrat has introduced legislation that takes care of part of that recommendation. Mo. 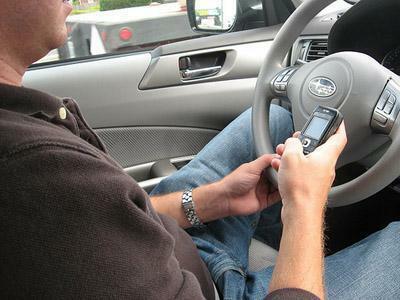 state law currently bans texting while driving for those under 21. State Sen. Robin Wright-Jones wants to expand that to all drivers, though a measure that she has filed for consideration when the legislature reconvenes in January would not allow police officers to pull someone over on suspicions of texting while driving. "You have to start small," Wright-Jones said. "These things take time, and we just take the steps that come to us, and we'll push it as far as we can." Wright-Jones' measure is identical to one filed in 2011 that got a committee hearing but nothing else. She thinks the NTSB's Dec. 13 recommendation may spur her colleagues to action this year. "Every year the bills comes up, there are new thoughts about it, there's more discussion, and if it doesn't go as far as I'd like it to go this year, I'm sure someone in the future will pick it up and eventually we'll have some type of law," Wright-Jones said. The senator says she’d also like lawmakers to consider enhancing penalties for accidents that are caused by people who are texting while driving. Federal safety investigators say a 19-year-old driver was texting at the time his pickup truck, two school buses and a tractor-trailer truck collided in a deadly pileup on an interstate highway in Missouri last year. The National Transportation Safety Board released the information Monday. The board is scheduled to meet Tuesday to hear the results of an investigation into the accident near Gray Summit and make safety recommendations.